Someone must have told Kim Kardashian today was gift sharing day as she's overloaded her Instagram account with pictures of designer presents that baby North West has been showered with from fashion week designers. What's the occasion? Well, North West's mom and dad (Kim Kardashian and Kanye West) are in Paris for fashion week currently and it looks as if they will be needing a few new suitcases to carry all their goodies home with them. 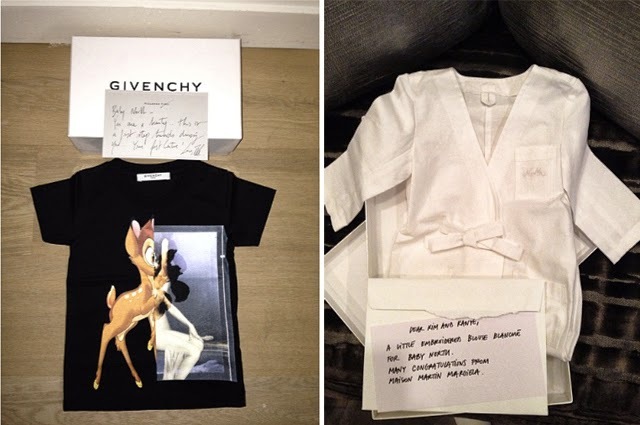 We've seen pictures of Givenchy shirts, Alexander Wang leather dresses and even a Maison Martin Margiela Lab Coat. That's not the end of it, either. 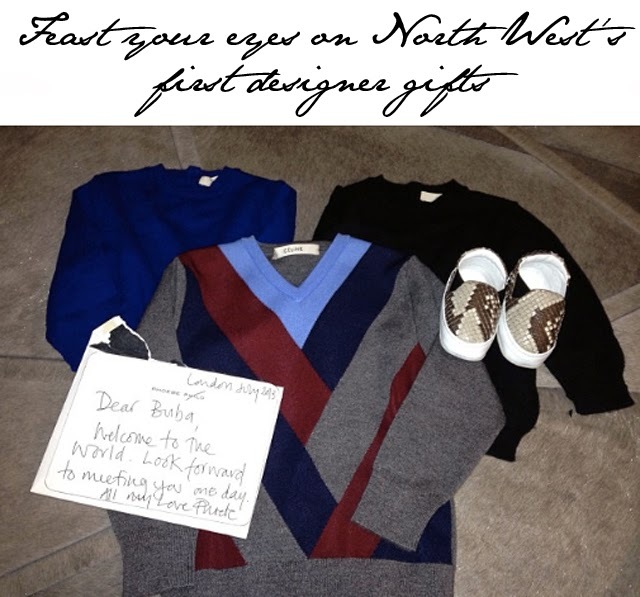 Here's a complete look at baby North West's fashion haul for fashion week. It's impressive. This little one is now more fashionably outfitted than most fashion bloggers we know.